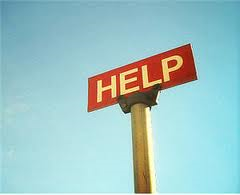 Having worked in the field of counseling for over 15 years now, I have heard and seen some very heartbreaking things. As a follower of Jesus, seeing the pain, suffering, poverty, abuse, ravages of disease and addiction woven into the lives of so many of those I work with inflicts much grieve upon my soul. I have seen young men whither away, transformed into human skeletons and passing from this life. Victims of the ravages of AIDS. I have been witness the premature deaths of young men, and middle age men/women. Victims of their addiction to drugs. I have seen mostly men of all ages filthy and sitting in urine soaked and feces stained clothing, unaware of their surroundings or the smell that emanating from their bodies. Victims of alcohol addiction. I have sat with and counseled children used as pawns by the vindictiveness of their parents going through an ugly divorce. I have counseled other children grappling with the death of a parent, a parent they themselves found dead due to suicide. I have heard the stories of people trying to learn to love and accept themselves after years of emotional abuse, or domestic violence, or racial discrimination. I have counseled men struggling with their sexual identity. Victims of verbal, and/or emotional abuse, rejection and outright hatred because of who they love. I have heard the heart wrenching cries of family members at the end of their ropes in trying to deal with a family member caught in the web of addiction. So much pain, so much suffering, so much hurt. Sometimes it is almost too much for me, and I sit in my office alone and weep. I weep because I feel their pain, their loss. Then I pull myself together, by God’s grace and reach out again. It is what I do. It is my blessing to be able to empathize, and it is also my curse. I think of God, and I realize how my hurt for others is dwarfed by the pain He must feel for His creation. 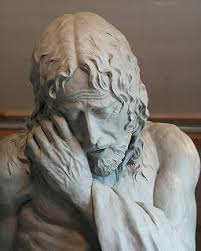 How He must weep, and grieve because of the pain we cause ourselves or the pain we cause each other. I also believe that His Holy Spirit must be grieved at the actions of His church, who, rather than being a balm of healing, have a history and a present day record of being the cause of much suffering and death. And He waits and watches from the portals of Heaven, like the father of the prodigal son, for His church, His bride, to return to His arms of love and to return to the role for which He has created us. It is time for us to come to our senses, repent and come Home to Dad. And then to go and give out extravagantly, and with abandon unconditional love, grace, and healing the world ensnared the grip of suffering needs. Mark – at his best! Thank you!..and, I know all those who have ever had you as their counsellor will have found a little peace,a little hope in ways you may never know – and, I know that God will be well pleased. A beautiful account of the power God’s mercy in relationship. Relationship is how God has chosen to be revealed–from the Trinity to the walking in the garden to the Incarnation. God’s grace and mercy can only truly be expressed in relationship. To change the world, we must get our hearts broken by being in relationship with each other and those on the margins of our society.